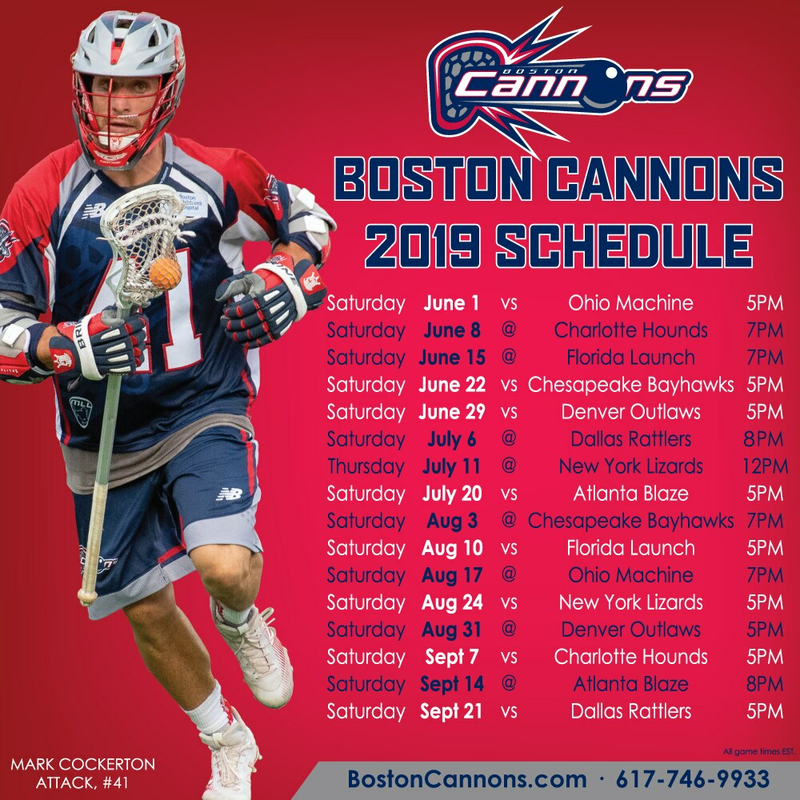 QUINCY, MA - Major League Lacrosse (MLL) and the Boston Cannons announced today that they have officially confirmed all 16 game times for the 2019 season. MLL made this announcement official at 12:00 pm on Thursday. The Cannons and MLL officially announced the 2019 MLL Schedule presented by Granite Telecommunications on November 29. To purchase tickets, please email tickets@bostoncannons.com or call (617) 746-9933.